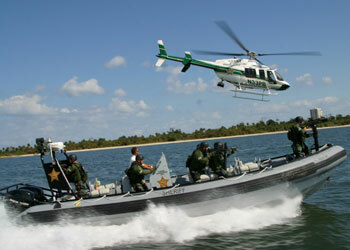 The Florida Sheriffs Risk Management Fund (FSRMF) offers coverage through three programs. Florida Sheriffs Self Insurance Program (FSSIP) covers law enforcement liability, public officials’ liability, general liability and miscellaneous coverages. Sheriffs Automobile Risk Program (SHARP) covers automobile liability and physical damage. Florida Sheriffs Workers’ Compensation Self Insurance Program (FSWCSIP) covers workers’ compensation and employer’s liability. Each program is responsive to the insurance needs and, as a result, coverages are tailored to address the unique exposures and risks associated with working in Florida law enforcement. Coverages are consistently reviewed and modified under the direction of the FSRMF Board of Managers to adapt to changes in law and other needs. Through our subsidiary, the Florida Sheriffs Insurance Agency, LLC., we provide a mechanism for Sheriffs to purchase commercial insurance policies for exposures that are not insured under one of the FSRMF self-insurance programs.